The benefits of going solar are undeniable, and more and more homeowners are taking advantage of this alternative energy source. According to the National Renewable Energy Laboratory, demand for solar products rose 76 percent in 2012, and that figure has only steadily increased since then. If you are a Charlotte homeowner who is curious about how you can benefit from solar roofing, contact Ace Solar and Roofing. As the leading solar experts in Charlotte, as well as the best roofers in the area, we are happy to help you with any questions you may have about solar panel installation. 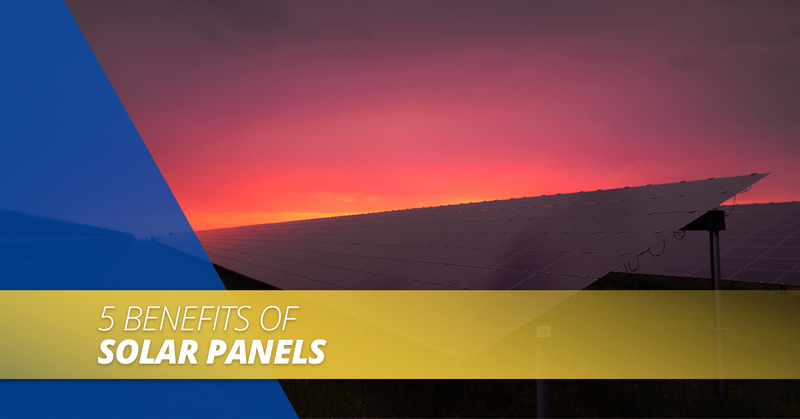 In the meantime, here are some of the many ways you could benefit from solar panels. Adding solar panels to your roof can save you thousands of dollars in the long run. According to some studies, monthly savings after installing solar panels can be as much as 100 dollars a month! Extend this to 20 years, which is actually shorter than the typical length of a solar panel warranty, and you are saving 30,000 dollars over the years. In Hawaii, on average, residents with solar panels save 64,000 dollars over two decades! Imagine what you would do with that money if you didn’t have to put it towards energy costs? Homeowners may worry about the upfront cost of solar panels. However, you can actually save on solar panels immediately with solar purchase power agreements (PPAs) or solar leasing. You may go the way of many homeowners who choose “pay as you go” financing. However, outright owning your solar panels will save you much more in the long run, so we recommend that you pay in cash for your solar panels in order to maximize your money saved. Should you go our recommended way and choose to pay in cash, in most cases, the payback period is less than a decade. In North Carolina, the payback period must be shorter than 20 years, has a capped interest rate of eight percent, and is easy to renew. These days, solar panels are a great way to add value to your home, as they are very attractive to prospective homebuyers. Due to how much solar energy lowers energy costs, many homeowners are willing to pay as much as 17,000 dollars more for a home with solar panels already installed, and these homes sell 20 percent faster than those without solar panels. Better yet, due to a state property tax exemption, adding solar panels does not increase the taxes on your property in North Carolina. In North Carolina, there are already many tax incentives put into place to benefit homeowners who wish to install solar panels, such as the property tax exemption mentioned above. In addition, the Federal Investment Tax Credit is an added incentive that reduces cost of installation by 30 percent. Just keep in mind that this tax credit only applies to people who buy their solar panels outright. In our next blog, we will continue to go over the benefits of solar roofing. In the meantime, when you are ready for solar panels on your roof in Charlotte, you can trust Ace Solar and Roofing to do the job right. Contact us today to learn more about solar panel installation!